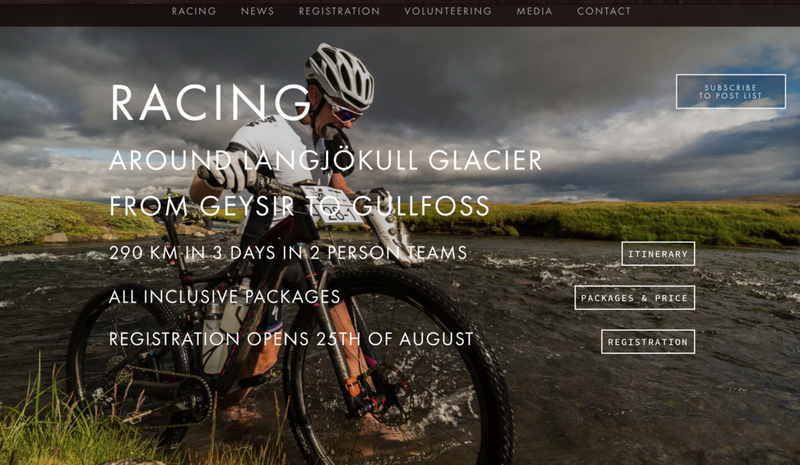 A few months ago, I was invited to race around a Glacier in Iceland. sounds rad, right? After a quick glance at the website I said “I’ll do it!” It was weeks later until I realized I’d flipped two important letters around while reading about the 3-day course: I read “XC” as “CX”. wtf brain. CX (or Cyclocross) I’ve done before! It’s fun and pretty manageable for someone who rides mostly track bikes. But XC is something entirely different. Along with Enduro, trials, dual, and so many other things I knew absolutely nothing about, Cross-Country is a category in mountain biking. Right, so here I was with a flight booked to Iceland and I didn't even own a mountain bike. I did have a teammate though. Juliet Elliott is a multi-discipline bike racer, journalist and fellow Youtuber from across the pond. I’d asked her to be my teammate bc I knew she’d ridden on dirt plenty but now I was sending frequent whatsapp’s inquiring about bike preference, hydration packs, clothes, etc. She patiently answered my questions while I low-key freaked out. I don’t think she knew it was my dyslexia that had gotten us into this mess. I had just a few months to prepare but I also had a bike tour and a cross-country move to do, crits to race, and lots of work travel. But every chance I had, wherever I was, I would rent or borrow a bike, find a trail and ride. I rode with anyone available. I rode alone. I even got my little brother to take a break from being a gym rat to ride a rented MTB with me. We tackled tree roots that day. It was awesome. My confidence grew slowly. Trails were much more manageable with a real MTB instead of riding them with a cx bike like I’d been doing. I should thank my friend Hern for making me ride the Santa Monica mountains on a cx bike because it truly made my handling skills better- despite the experience being mildly terrifying. Fast forward to the race. Juliet and I arrived in Iceland the day before for the race meeting. I’d finally purchased a Liv Pique advanced just a week prior and I was going to race 300k on it. I bought a camelback hydration pack off Amazon. And as Juliet pointed out- I was using a road helmet. I didn’t know they were different??! In the meeting, the organizers stressed that we needed to bring along food, water and emergency kit because we would be riding through very remote areas. I thought of my mishap in the Dirty Kanza the year prior and noted I should pack a pen in case I needed to make a tourniquet. After dinner and a dip in a hot pool, I drew the blinds on the still-sunny night and we tucked in for our last sleep in a bed before race start.